Expatriate owners of property in upmarket Marbella, on Spain’s Costa del Sol, face more uncertainty following a decision by the Spanish Supreme Court to declare unconstitutional the revised Town Plan passed in 2010. 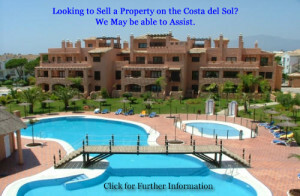 It brings the question, ‘Is my Costa del Sol property Legal? back as the question foremost in the minds of owners along Spain’s upmarket coastal resort. This plan was passed to bring order to the chaos of the Marbella real estate market that had existed, predominantly during the reign of Mayor Gil and town planner Juan Roca, when planning corruption was rife along the coastline. This is a huge blow for the Marbella’s property business and the coastal economy as a whole as it introduces enormous uncertainty for owners who thought their properties had been legalised by the revision of Marbella’s town plan in 2010. This revised plan was approved by both Marbella and Andalusia’s regional government (Junta) in Seville. The decision places 16,500 homes in the municipality, many belong to British and Irish owners, back in legal limbo. This is a nightmare for owners who thought their ownership issues had been cleared up five years ago. There were arguments that some developments, such as Banana Beach (pictured left) which was built right on the beach and has many overseas owners, should never have been granted planning permission under any revision. The Supreme Court declared the revised plan null and void yesterday (November 4th 2015) for reasons including failing to comply with environment protection laws and the lack of an economic viability study. It was, however, brought down mainly because the judgement felt that the purpose of a town plan should not be to legalise prior planning infractions. Whilst recognising the laudable objectives of the revised town plan, the Supreme Court struck it down for not complying with other laws. What Now for Marbella Town Plan? This ongoing fiasco now leaves Marbella without a town plan, when most owners felt that the 2010 arrangement had sorted out most of the planning irregularities of the Gil/Roca years. The approval process for the revised plan also cost the town hall a huge amount of time and effort. Local newspaper reports say the decision sets town planning in Marbella back 30 years, literally, as it brings back into force the town plan of 1986, which was so widely flouted during the building boom of the nineties and early 2000’s. The decision is really bad news for the local property market, which had been one of the few real estate highlights in Spain until now. Property buyers hate uncertainty and it will remind new buyers of the corruption that prevailed in Marbella in the past. The decision may also mean that there will be no more new building licences for the foreseeable future, plunging the residential construction business back into crisis just when it looked like it was making somewhat of a recovery following more than a decade in the doldrums. It places the town in an extraordinary legal and planning vacuum, as in principle it means returning to the plan of 1986, which is practically impossible according to Ramón Dávila, head of the Promotur residential tourism trade body in Andalusia, in comments to local news outlets. Arranz claims the revised plan was an “economic disaster” but recognises that coming up with a new plan that works for Marbella will be “complicated and problematic”. Current political realities will not help with the process as the town hall is governed by four different parties. It is not all doom and gloom for property owners on the Costa del Sol. Fortunately for owners of properties that are once again illegal, recent legislation passed in Madrid now makes it illegal to demolish homes of innocent third parties before they have been compensated. “At least purchasers have the protection of the articles we have managed to introduce – no demolition without compensation for good faith purchasers,” says Gerardo Vazquez, a lawyer and activist fighting for property rights in Spain. You can find a full article on this topic on Mark Stucklin’s excellent Spanish Property Insight website.